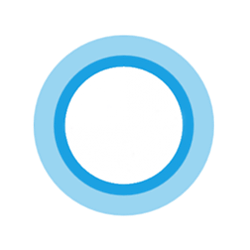 Searching in Cortana on your taskbar makes it easier for you to search the web and Windows. Starting with Windows 10 build 15014, you can change the transparency level of the Cortana search box highlight to opaque (white), semi-transparent (default), or fully transparent. You will see the Cortana search box highlight when you hover the pointer over the search box. This tutorial will how you how to change the transparency level of the Cortana search box highlight for your account in Windows 10. The downloadable .bat files below will modify the DWORD value in the registry keys below. You can manually modify the Value DWORD to a decimal value of 0 to 100 for a custom transparency level. 1. Do step 2 (opaque), step 3 (semi-transparent), step 4 (transparent) below for what you would like to do. A) Click/tap on the Download button below to download the BAT file below, and go to step 5 below. 5. Save the .bat file to your desktop. 6. Unblock the .bat file. 7. Run the .bat file. 8. You will now notice your screen flicker and a command prompt quickly opens and close as explorer is restarted to apply the registry changes. 9. When finished, you can delete the downloaded .bat file if you like. 10. It is recommended that you also change the Cortana search box text color to black or white depending on what you set above to see the text better against the background. As it says... I often need to highlight a section of text in a web page and then look it up using Bing. Is this doable ?